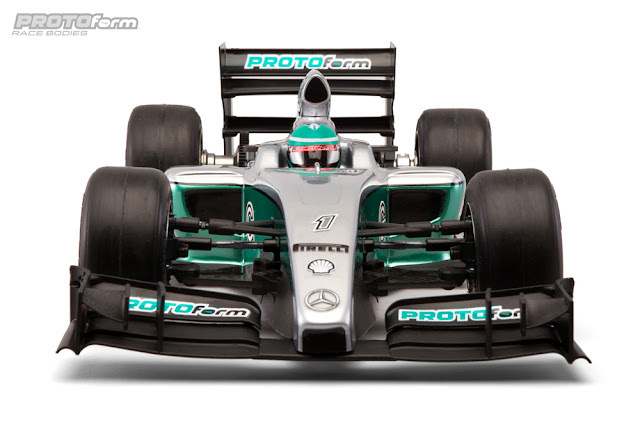 Protoform has announced the F1-Fifteen body for 1/10 F1 cars. This is a big improvement in looks over their previous bodies and I think it is going to be a popular shell at the UK nationals this year. 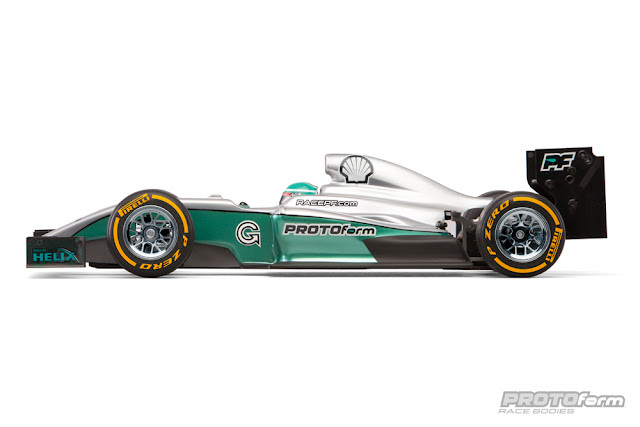 The shell captures the look of the 2015 cars well. It has the low rear 'Coke bottle' design seen on many of the current F1 grid, but the bottom part is still wide enough so that you will be able to run it on link-type chassis as well as the conventional T-Plate cars. The detail is much better on this shell as the airbox is separate and you will need to attach it to the shell with tape or shoo glu. 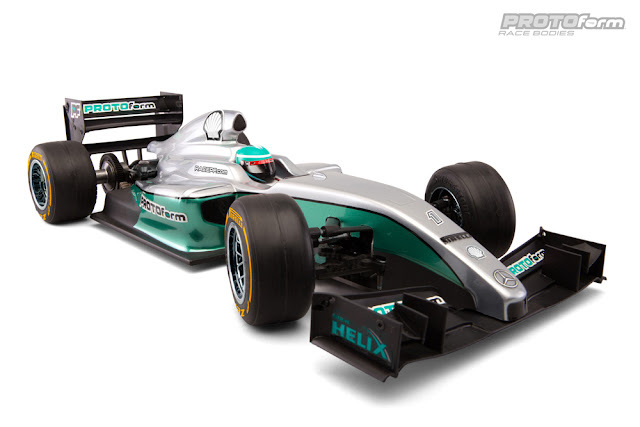 The kit includes the drivers helmet and a nice selection of decals to help the car look scale and detailed on the track. Available from your local Protoform stockist.